Who can use this Licence? The inventor or designer of a product can use this licence for manufacture and sale. The licence sets out the agreed terms under which the inventor provides designs etc. and the manufacturer produces the products and then sells them. The designer/inventor receives a licence fee plus royalties on all sales. 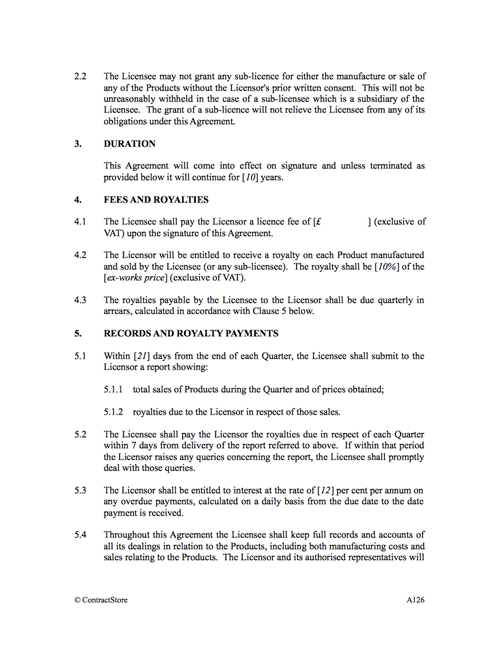 Firstly, the scope of the licence and whether it is exclusive and/or allows sub-licensing. The territory in which the manufacturer can make sales will also be specified. The duration of the licence will usually be quite long – five or ten years. It will also deal with the role of the inventor in the development phase before the product is finally launched. Fees and royalties need to be spelt out. There is often an upfront licence fee paid to the designer and then a percentage of sales. The licensor should have access to the licensee/manufacturer’s accounts and records to verify sales and royalties. Intellectual property rights are important: the designer will retain ownership but there may be shared ownership of improvements in some cases. Infringement of IP rights also needs to be covered. What detailed terms does the Licence contain? This Agreement provides a basic model for an arrangement between the owner of a patent – probably the inventor of a new product – and a company which has the capacity to manufacture and bring that product to the market. There are, of course, many possibilities with such an arrangement and we have only given an example. Some defined terms are set out here. Note that the definition of IP Rights assumes that existing patents and trade marks will be listed in a Schedule to the Agreement. 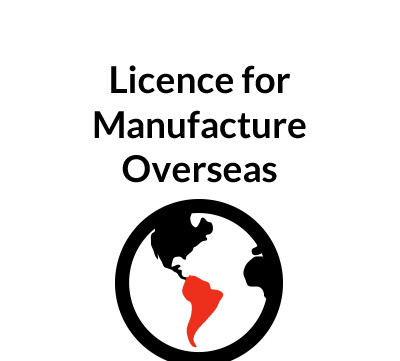 This establishes the main purpose of the Agreement, namely for the inventor or designer of a product, the Licensor, to give an exclusive licence to another company, the Licensee, to manufacture and sell the product. 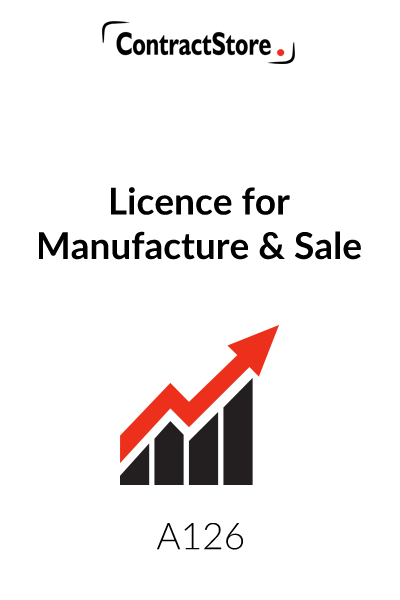 The right to sub-licence is contemplated by this clause but it may not always be appropriate: the Licensor may want to deal directly with the company involved in the manufacture and marketing of the product. By having a sub-licence, the Licensor will not have a direct contractual link with that sub-licensee which could create difficulties. An arrangement such as this will need to be long-term, especially if the development phase before the product is ready for the market is going to involve substantial time and expense on the part of the Licensee. We have provided here for 10 years but 5 to 20 years is probably not uncommon, especially if there is a lot of development work in the early stages. Our draft provides for the Licensee to make an up-front payment on signing the agreement: the Licensor will see this as some early return on his own effort in developing his idea and applying for the patents. The Licensor will then receive, for the duration of the agreement, a royalty calculated as a percentage of the sales price. We have specified the ex-works price in this draft. If the Licensee is a retailer as well as a manufacturer, then a price which takes account of the retail price might be appropriate. The purpose of the final sentence is to cover the development phase of the products. If such a clause is inserted, the Licensor may also want the right to terminate if sales do not reach the target figure. This provides for royalties to be accounted for on a quarterly basis, with interest payable on late payment amounts. It also gives the Licensor the right to have access to the Licensee’s accounts – an important reserve provision to allow verification should this be thought necessary at any time. Development of a new product is not an entirely straightforward matter and the Licensor’s input is usually going to be needed. This clause provides for this but it does limit the Licensor’s commitment of free time. We have provided for the Licensor to be paid a consultancy fee in certain circumstances. In today’s global market, a manufacturer of a successful product will be thinking about overseas markets. We have provided, in this case, for the basic territory to be specified in clause 1. Sometimes it is in the interests of the parties for the Licensee to have an option to extend the territory. By granting an option the Licensor gets a chance to see whether the Licensee will perform in the original territory and, if so, the Licence can be extended, probably on payment of an option fee, to additional territories. From the Licensor’s point of view, one successful licensee is probably easier to deal with than several. On the other hand, the opportunity of dealing with different manufacturers in different areas has attractions – apart from anything else, a UK manufacturer, however good his wholesale outlets, may not have any marketing capacity in the United States whereas a company based there is more likely to know that market. There is always a possibility that either party in an arrangement like this wants to make changes or improvements and various questions arise, not least the question as to who owns the intellectual property in any improvement. Our agreement provides, first of all, that there will not be any modifications without the Licensor’s consent, which will not be unreasonably withheld. Secondly, as this is a long term arrangement, we have provided for co-ownership of the improvements if they are developed by the Licensee. This is a complex area and specialist advice – from a patent agent as well as a lawyer – could be appropriate to deal with this provision. 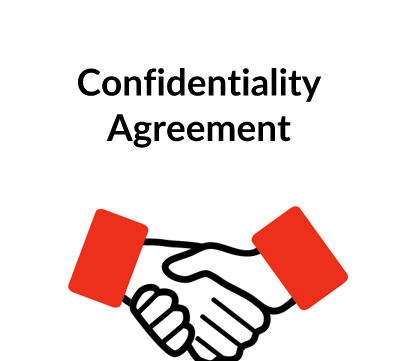 Clearly, this is an agreement where confidentiality is quite important and an appropriate clause has been included. This clause contains confirmation from the Licensor that the Licensor is the owner of all intellectual property rights relevant to the Agreement and gives the Licensee the right to use them solely for the purpose of the licence. The Licensee is prohibited from registering any of the IP Rights without the Licensor’s consent. The Licensor also has the right to register patents and other rights in the Territory and the Licensee is required to provide assistance if required. It is, in fact, usually recommended that a Licensor should take steps to register its rights in any country where protection is appropriate. The first sub-clause deals with a situation where some third party may be infringing the Licensor’s IP Rights and it is in the interests of both Licensor and Licensee to act to prevent that infringement. The second sub-clause deals with the possibility of a claim by a third party that the Licensor’s IP Rights infringe his intellectual property rights. In this second situation, the Licensee may well take the view that the Licensor should be responsible for defending that claim and should indemnify the Licensee against any losses it incurs: the Licensor has, after all, in 10.1 given what amounts to a warranty that no third party rights have been infringed. This contains fairly standard wording allowing either party to terminate if the other commits a material breach of the Agreement or becomes insolvent. If you want it simpler so that any breach justifies termination, the word ‘material’ can be removed. We have given the Licensor the right to terminate if the Licensee does not get the products into the market within a specified period. This should act as an incentive to the Licensee and, if, for any reason, it does not go ahead with manufacturing, the Licensor can withdraw. In those circumstances the Licensor might want the right to buy any tooling equipment which has been developed by the Licensee and, if this is required, some additional wording should be inserted. We have not given the Licensee the right to terminate but, with a long term arrangement, a manufacturer may well require this right, albeit after a reasonable period of notice. For example, it may undergo some reorganisation of its business which makes the Product of marginal or no interest to it. 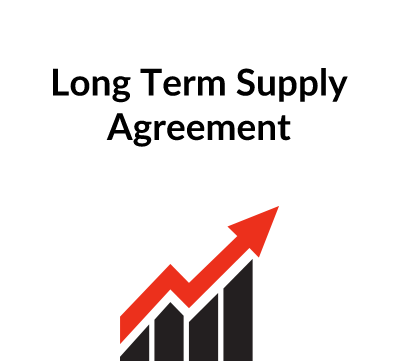 Alternatively, sales may not justify the production costs or there may be competing products developed which are far superior to the products which are the subject of this Agreement. On termination, after the manufacturing process has got underway, there are likely to be products which are ready for sale or in the course of manufacture and our clause deals with a run-off period during which royalties will continue to be payable. An alternative could be for the Licensor to acquire all products which are already manufactured at the termination date and then to sell them himself. 13.1 Notice: It is usually sensible to include a provision dealing with notices, specifying that they should be in writing and the method and timing of delivery. 13.2 Assignment: An agreement such as this is somewhat personal in nature and we have provided that neither party shall have the right to transfer or assign its rights to any third party without the other’s consent. 13.3 Entire Agreement: Such a clause makes it clear that the terms of this Agreement supersede any previous agreements, discussions or understandings the parties may have had. 13.4 Waiver: If either party does not enforce a particular clause, that failure will not prejudice it later on. 13.5 Severability. If any part of the Agreement held by a court to be unenforceable or invalid, the remaining provisions of the Agreement will continue in effect. We have a two or three stage dispute resolution process – direct negotiation, then mediation (if agreed) and finally the courts. If both Licensor and Licensee are in the same country the law of that country would normally govern the contract and the governing law clause is of somewhat academic interest. Where, however, there is a cross-border element – e.g. a Licensor in the Czech Republic and a manufacturer in England, a governing law clause is more relevant. The governing law is the law to which the parties – and a court or arbitrator – must refer when a dispute arises involving the legal interpretation of the Agreement. Disputes do not necessarily have to be referred to the courts of the country whose governing law is used – hence the reference to the courts as well as the governing law. Notes on governing law and the resolution of disputes are available free from the ContractStore website.